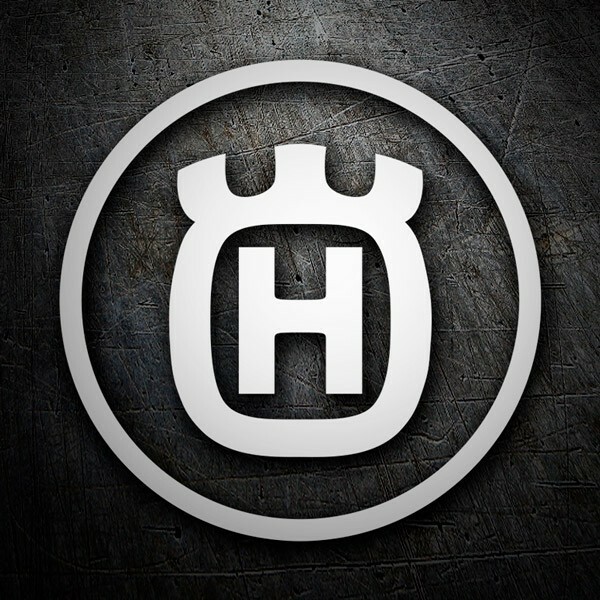 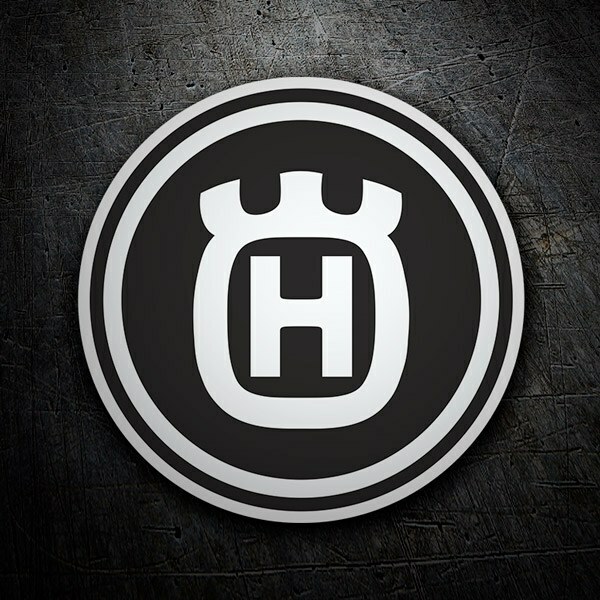 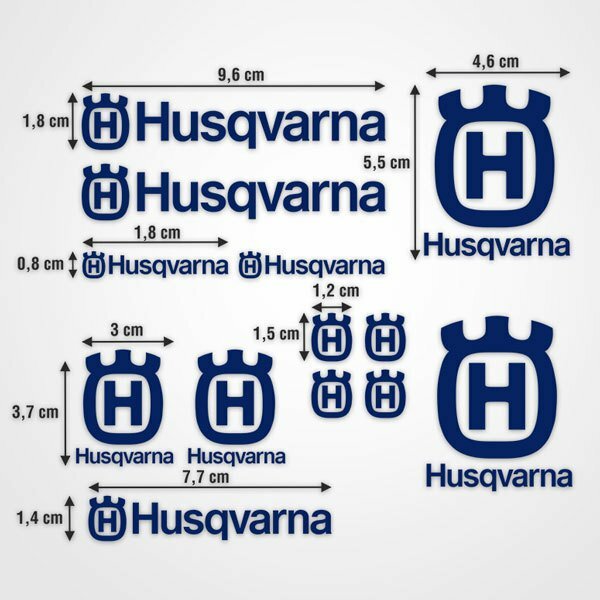 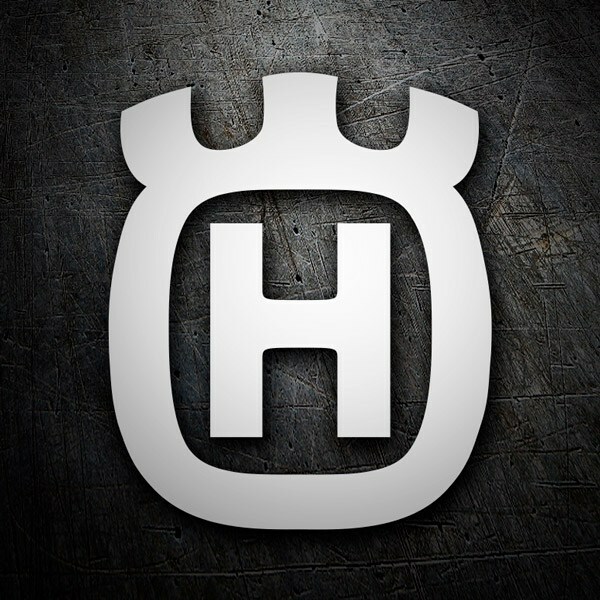 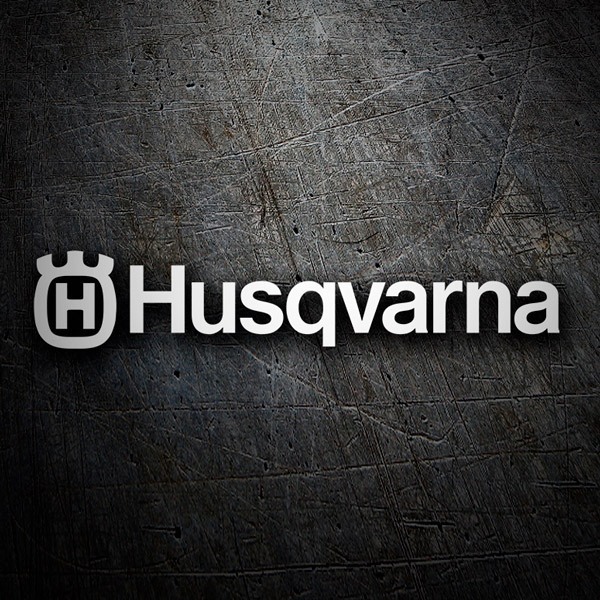 Decorate your bike with our Husqvarna motorcycle brand sticker kits. 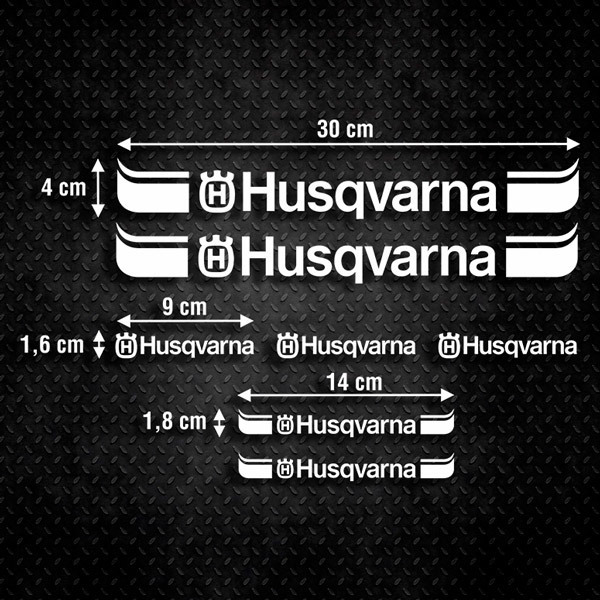 It was a subsidiary of the Bavarian company BMW that manufactures motocross, enduro and supermoto motorcycles. 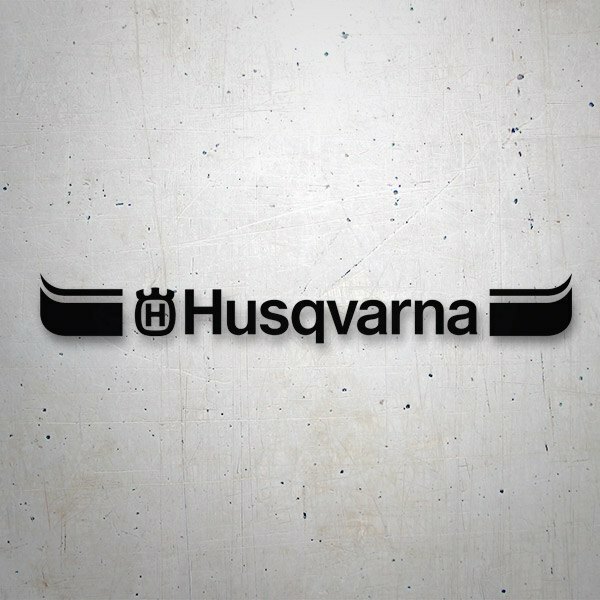 The company started production in 1903 in Sweden. 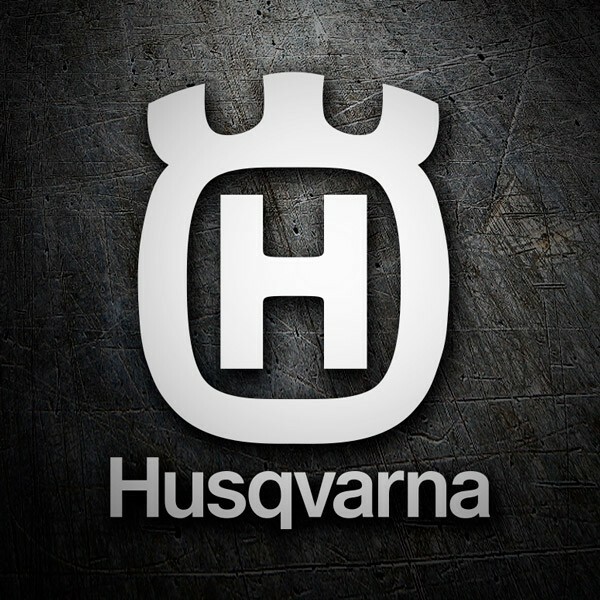 At the beginning of 2013 it was purchased by the owner of the brands KTM and Husaberg. 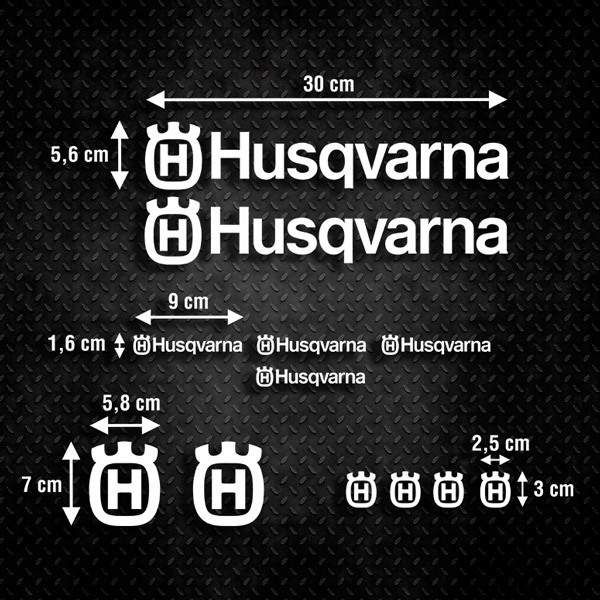 We have complete kits of stickers of different sizes and measures, both logo and symbol, so you can give a new style to your bike decorating it with the color you like.